Follow me on my journey to fitness while pursuing a life-long dream of studying abroad in Australia! Throughout the next 8 months I will be sharing with you my fitness goals/inspirations, my process of getting to Australia, and (hopefully) my experience abroad at Bond University in Gold Coast, Australia! You can study abroad too! "May the Best Man Win"
Putting together an application to study abroad is not exactly an easy process. Each piece of the application requires some kind of authorization/signature or attached legal documentation. Truthfully, if you look at the whole application packet, you kind of want to hide it underneath a pillow so that you don't have to look at it. My suggestion? Take it one page at a time. As I went through the packet, I wrote down questions to ask to the staff at the study abroad office on campus. Apparently, this is not an unusual thing to do. However, a list of questions that occupies the space of four notebook pages might slightly scare them. You're welcome, for the warning. I'm actually really close to finishing the application. The closer and closer I get to finishing all of the paperwork, the more and more gentle I am when flipping through it. Seriously, I've been handling the packet like it was stamped with a giant "fragile" sticker. I even wash my hands and vacuum my rug before taking the application out of it's designated folder. I guess I have this reoccuring nightmare that I'll finish my application and somehow get peanut butter on my fingers and then trip on something on my floor and land my hands directly on my finished paperwork. ...But I'll just rent a horror movie and then I'll have regular nightmares like a normal person. On a different note: while I was in the study abroad office, I was informed that Australia was the perfect destination for fitness enthusiasts. Evidently, Australia has a very active population with many venues for different types of exercise and group fitness. This news made me more excited than I can even convey. I guess you always kind of have doubts when you pursue a big dream. Sometimes, you might even have more doubt than assurances. It's always nice to have something, no matter how small, confirm that you're heading in the right direction. 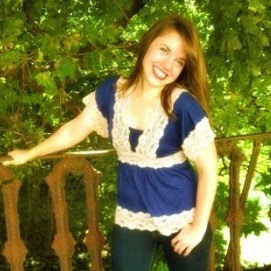 Rachel is a young aspiring fitness enthusiast with a dream of studying abroad in Australia. In order to expand her knowledge of fitness she is working to complete her Bachelor's of Science in Fitness and Wellness at Bond University in Gold Coast, Australia. Currently, Rachel has certifications as a personal trainer through American College of Sports Medicine (ACSM) and Aerobics & Fitness Association of America (AFAA). She is also a licensed Turbokick group exericise instructor and certified Kickboxing instructor. Throughout her journey to study in Australia, Rachel hopes to provide inspiration to her fellow classmates and further expand her drive to be a successful fitness professional. -walking through hip-height snow (over an hour)! ...that definitely felt like a workout!! -55 minute TurboFire Workout in the Comfort Suites Airport Hotel! 4/5-4/10 Great Barrier Reef and Sydney!